It is summer time and the living’s easy. 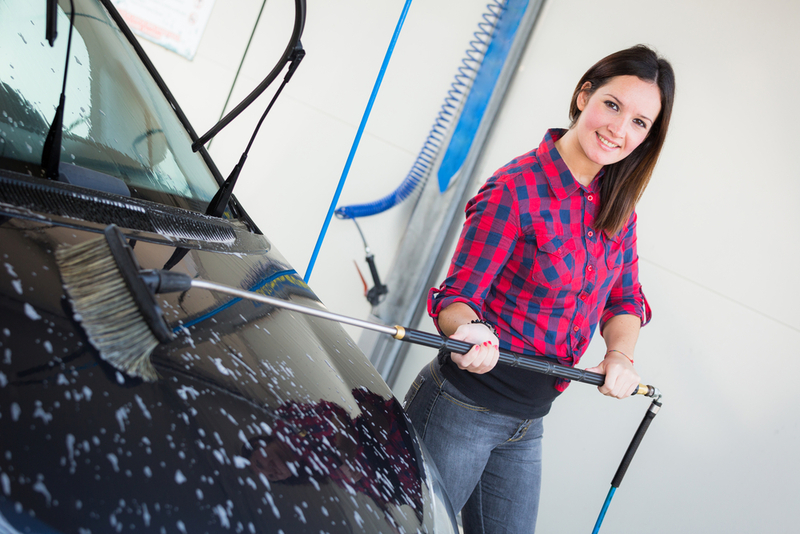 You probably want your car to shine since the days are getting brighter and it’s getting easier to see to fleck of dirt all over your car when the skies are clear. An all too common mistake is people using dish detergent. DO NOT USE DISH DETERGENT. That stuff actually damages the pain on your vehicle; it is intentionally formulated to be as corrosive as possible. Avoid using a wash pad because it’s easy to drop, running the risk that you’ll get damaging dirt and yard flakes in it. A wash mitt is better and by flipping the cuff inside the cavity it prevents accidental scratches and drops. To dry the car, instead of opting for rags or Chamois use a silicone water blade to pull water off like a squeegee then a towel will soak up what’s left. Less is more. Shop and purchase a cleaner specifically made for your wheel material. There is no “catch all” solution. Material like chrome takes a harsher cleaner than anodized aluminum, and clear-coated wheels need a product that won’t damage that coating. 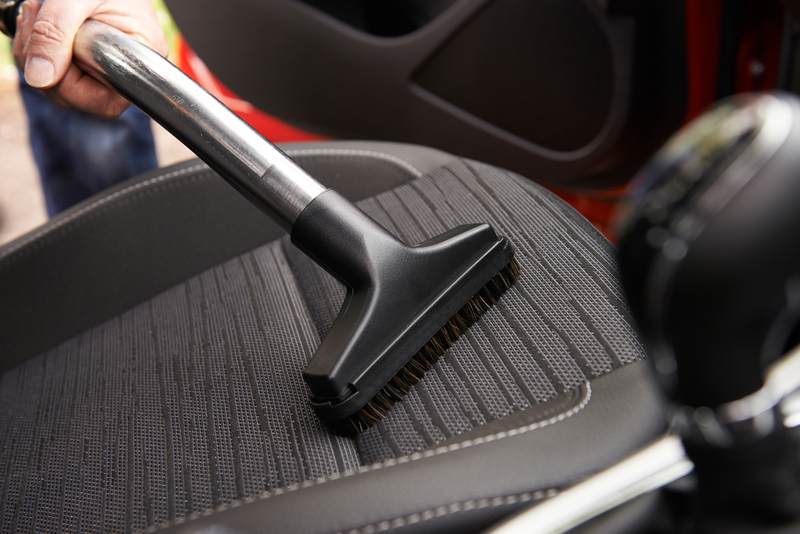 No matter the size of your wheels, use a long-handled brush for extra reach, since cleaning brake dust is notoriously difficult. THEN you can use the smaller lug brush to get the tight nooks and crannies. Then you will clean and dry one wheel at a time, and to let it shine apply Wheel Wax and polish it off. NOTE: you only need to use Wheel Wax twice a year, so don’t feel bad about skipping it during most washes. 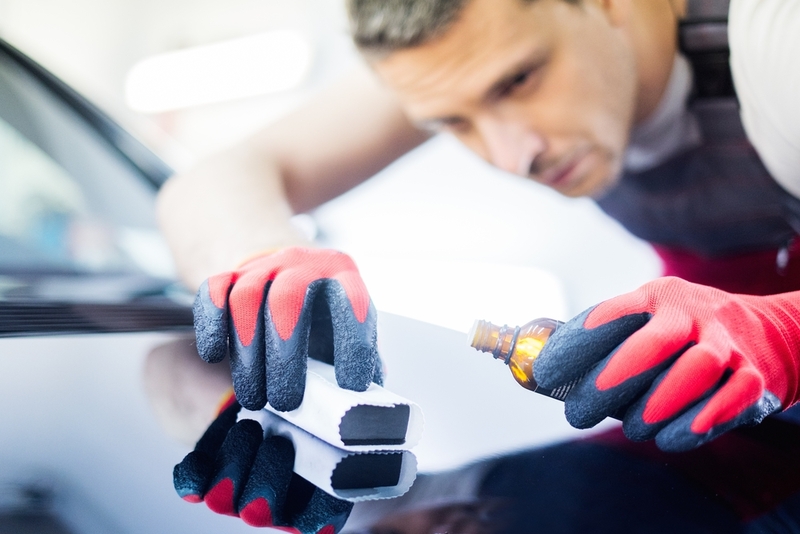 Remember that before you even think about applying anything to your car, you should mix a bonding agent into the paint sealant to increase protection. What this does is give you enough liquid to do one coat for your typical full-sized car. From then on scale up or down depending on the size of your vehicle, but keep that 4:1 ratio of bonding agent to sealant. Remember that this stuff can only be used within the hour when you begin. Apply this mixture in circular motions to 1/4 or 1/6 of the car and you never ever should let the sealant or wax to dry and sit for too long. We recommend that you start with the hood, front fenders, and front bumper for the first section; after the sealant gets that hazy look, buff it out immediately with a towel in the same circular motion before moving move to another section: the driver-side doors, then side sills, and pillars and all around the car back to the front. Finally take care of the roof. For the little spots you can wrap a towel around the tip of a small skewer to sweep away dry wax from around things like emblems, decals, door handles, antenna mounts, and in the crevices between body panels. 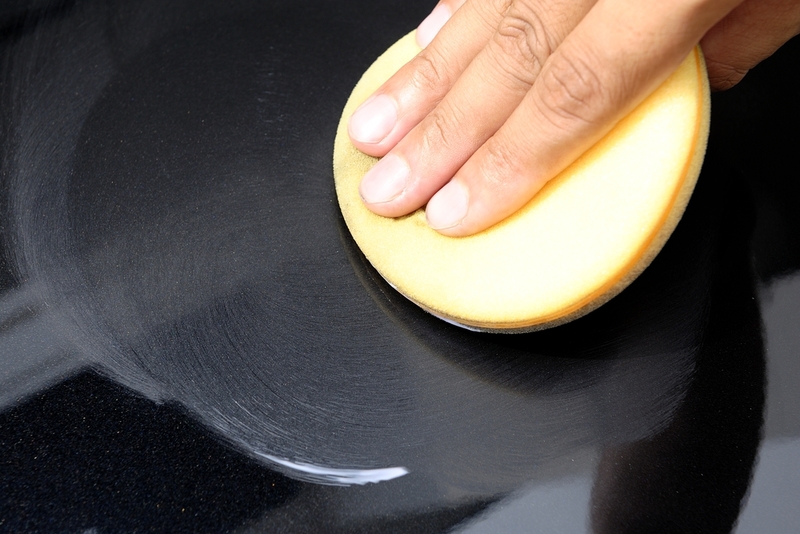 People often forget to wash these the most: weatherstripping, plastic trim, and headlights. Don’t be one of these people. 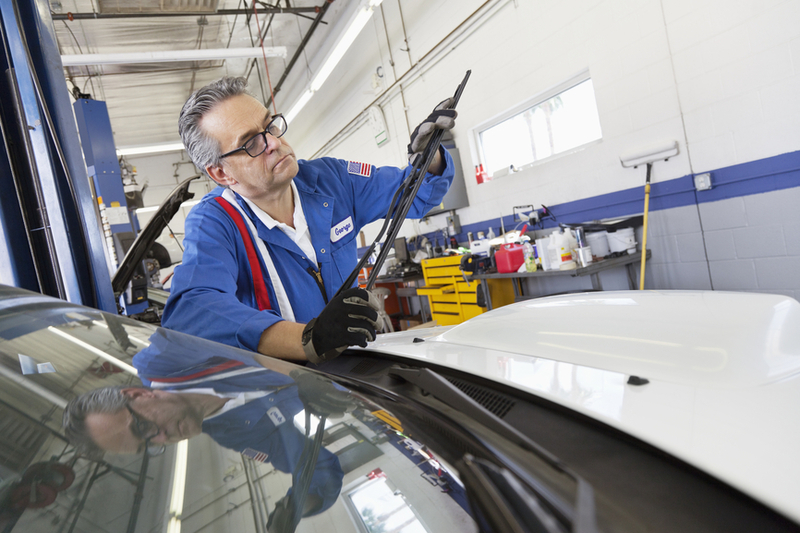 The rubber weatherstripping lines the perimeters of windows, windshields, and doorjambs, and over time it can dry our and crumble before breaking. Sunlight itself actually fades black plastic trim pieces and even comes to glaze over plastic headlight covers. Use Plexus or a similar compound on UV-vulnerable headlights and trim pieces, and use something like Pflege on all weatherstripping. You need to rub in the Plexus with a towel, but be sure to leave the Pflege alone after you put it on. Windex doesn’t just cut it; it cuts through your needed weather stripping. Always be sure to use automotive-specific glass cleaners instead. Also we found that a waffle-pattern on a polishing cloth will scrub bug guts and bird poop better than your average towel. Inner beauty is just as important, as our life coaches once told us. So make sure you have a good clean interior of your vehicle. Find a cleaner that will work on plastics, vinyl, leather, rubber, metal, carbon fiber, and wood and bonus for those that contain a special UV protector to prevent the color from fading. These usually work via a spray on and are made usable through a stiff, plastic-bristle brush that will dig into wrinkled vinyl surfaces and works through those hard crusty build ups. Finally use something softer on surfaces that dent to scratch easily. What you do is wash your materials such as a microfiber towels by tossing them in the washer without any other clothing. Be sure you are using laundry detergent free of dyes, perfume, and fabric softener, and avoid dryer sheets like the plague. Hopefully these will come out clean. After that, stick them in the dryer on low heat if you must but we would advise you hanging them to dry. If these are still discolored, you can try something like OxiClean or better use them only for quick and dirty jobs onwards. NOTE: this very difficult. If you take the time to figure these out, they can actually remove sun damage, those hazy swirls, fade out those tiny knicks and scratches, and buff away those deep-set water spots. And best of all its in service of a nicer shine than most car washes can muster. Practice and patience are the key to this but it’s also costly.